Summer has just begun which means it's time to kick those summer renovations into high gear! If you're like us (and most of the population), you might be itching to start a new project on your home but have no idea where to start or what to redo. While we love Instagram and all the pretty squares we see on it, it can be a little overwhelming when using it as inspiration and research for a design project--there is just too much! So we've rounded up 5 summer renovation ideas that will make big statements without the pains of an exhausting home remodel. If diving into a full-on master bath renovation is too overwhelming, try starting with a powder room or guest bathroom. Redoing the tile in one of these rooms will be much quicker and will require less product. 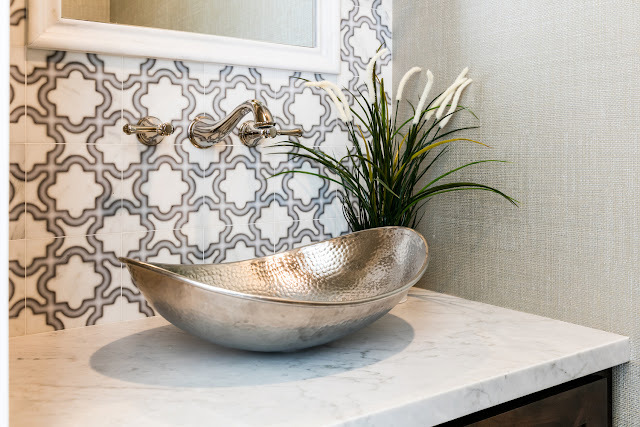 We love when designers use a bold statement tile like the one below to create an eye-catching backsplash behind the sink. 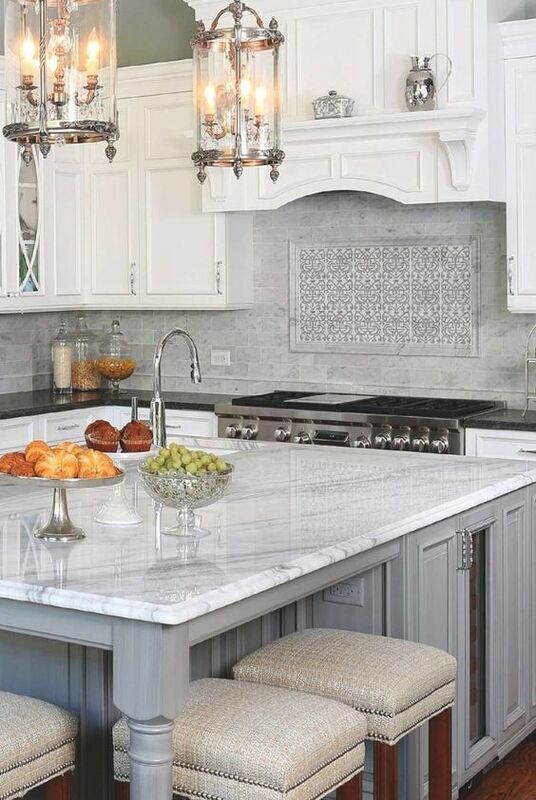 Adding a backsplash behind your kitchen stove is another small project idea that will go a long way in your home. You can keep the costs and renovation time down while making a creative statement in the best part of the house. As you can see in the project below, an 18x36 decorative backslpash with liners can make a kitchen customized and unique. 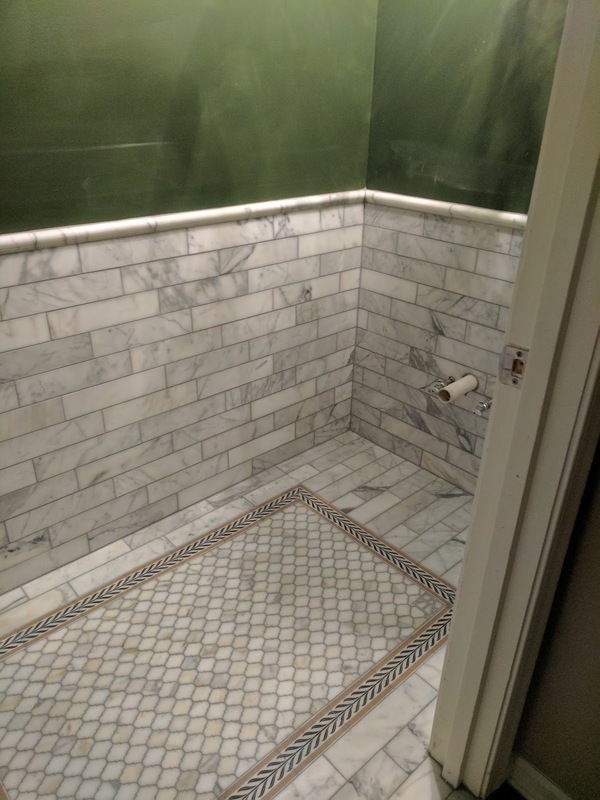 It doesn't matter how small that niche in your shower is--pop a few tiles in there and you have transformed your shower! This technique is especially effective if you have a plain looking bathroom and will grab your attention every time you walk in your shower. When in doubt, put a border around it! Not only does this save you costs on material, it also reduces install time. 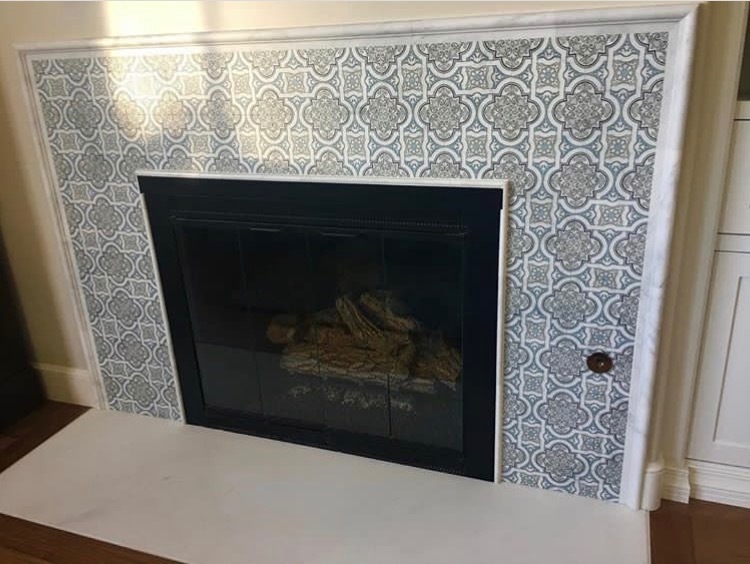 Don't be afraid to go bold with colors and patterns on this one. 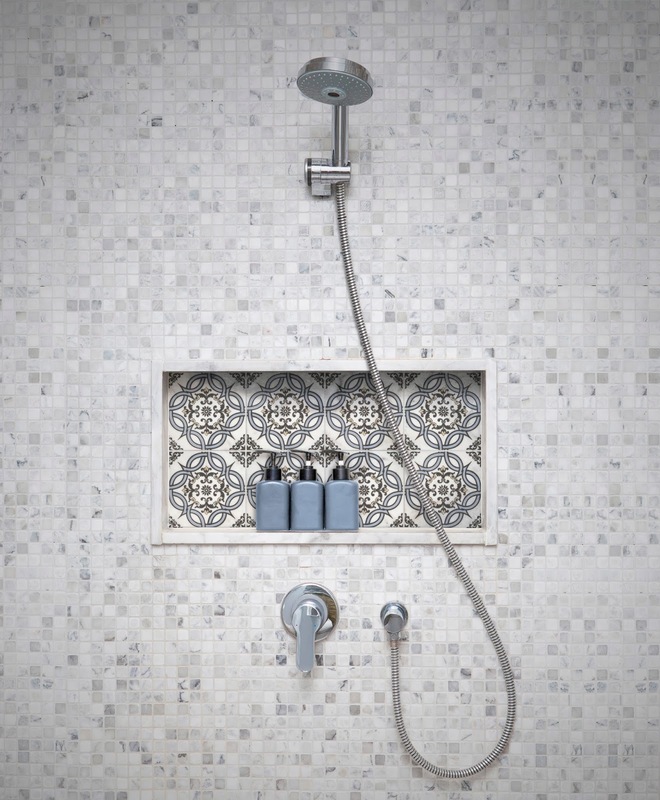 We love seeing this style in bathrooms and also in entry-ways. While we love the long summer days in the sun, we also can't deny a cozy couch hang in front of the burning fireplace. Adding decorative tiles around the fireplace is growing trend that is surprisingly simple and doesn't require much material. "Renovation" is a long word but it doesn't need to be a long process. When starting out on a home reno, we think the simpler the better. Happy renovating!